Ladies and gentlemen, it’s a bit late this week, but I know how eagerly you’ve been anticipating this very moment, so without further ado, I present to you this week’s lovely Vanity of the Week: the simply stunning 47″ Celine double bathroom vanity! There are lots of reasons why the Celine is the Vanity of the Week this time around. For one, it’s my personal favorite, and this is my birthday week. But more importantly, the Celine is this week’s winner because it’s a gorgeous item that belies its svelte and curvy appearance with copious storage space. In other words: it’s just as beautiful as it is functional, helping you improve the efficiency of your bathroom and the appearance of your bathroom in one fell swoop! Maintaining a decidedly modern and minimalist aesthetic, the Celine features a simple but timelessly elegant design. The curved single-cast basin rests delicately on the strong oak frame of the cabinet, with plenty of space for two people to use simultaneously (as one would hope for a double vanity). The chrome faucets are lovely additions, as the chrome looks great with the black and white theme. The same can be said for the charming cylindrical chrome legs that support the main cabinet. The three sliding drawers, centered and flanked by full-door cabinet spaces, feature our proprietary Soft-Close system for a smooth and gentle shut every time. Not to mention, of course, the ample storage space they afford! Indeed, when it comes to bathroom vanities, few are quite so graceful and sophisticated as the stunning Celine double bathroom cabinet. 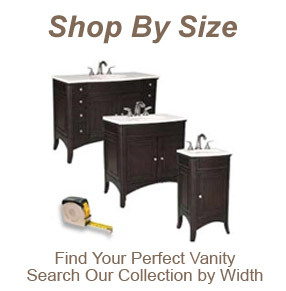 To see the Celine in person, please be sure to drop by our San Diego bathroom vanity showroom! and hope everybody will like this post.